Bomb Seeds - CBD Bomb. Free US delivery. 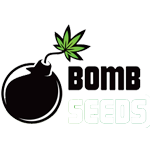 CBD Bomb can be characterized by its high CBD content and has been one of the most eagerly awaited medical strain developments since the launch of Bomb Seeds' signature strain THC Bomb. With a CBD level well over 7% and 1:1 CBD to THC ratio CBD Bomb is a medical strain of the highest quality. The stone is a balance between a deeply relaxing physical feeling without excessive drowsiness. It’s a strain that can be enjoyed any time of day to help manage conditions such as muscle and joint pain, inflammatory problems, insomnia and anxiety. The smoke is sharp citrus with a distinctive skunky undertone!Get on it.